In Article 8. paragraph 1. of European union Charter of Fundamental rights and with article 16. paragraph 1. of Treaty on the Functioning of the European Union it is determined that everyone has the right to protect their personal data. Personal data are all the information which are regarding to a person who can be directly or indirectly identified by identification. Examples of identifiers include names, addresses, identification numbers, web identifications (including IP addresses) and also one or many factors that can identify a person like cultural, social, genetic, physical or economical information. Individuals have the right over their personal data which include erasing, restriction of processing and the right to claim copy of all data. 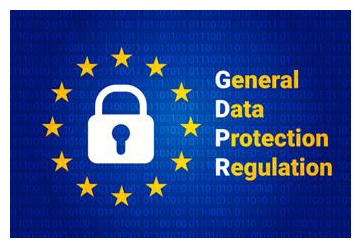 What does GDPR mean for uredi.hr d.o.o.? uredi.hr d.o.o. collected personal data via contact form, personal and through other methods. This data is used so that we could continue with providing you with excellent services such as personalizing sent data to your needs. Data is always used fairly, rightly and in accordance to our privacy statement. With new guidelines, consent for the collection and use of these personal data must be specific, informative, unambiguous and voluntary. If the users did not give us their consent we cannot use their data for marketing purposes. In the event of a violation of the rules, there will be serious legal consequences for uredi.hr d.o.o. Please be confident that we take your privacy and the use of any data extremely seriously. For more information, see our Privacy Statement. uredi.hr d.o.o. undertakes to protect your personal data under the EU's General Data Protection Regulation (GDPR). uredi.hr d.o.o. recognizes the importance of protecting privacy, security and data protection for users of our services and all people who come into contact with us, so our goal is to offer protection for all our operations and implement consistent policies and procedures. Protecting your privacy is very important to us. We will only use the collected data about you if you consent to it. We guarantee that all this information is processed in accordance with current Croatian legislation, and our goal is to provide best practice on the Internet, including the fulfilment of the provisions contained in the Personal Data Protection Act. This Privacy Statement informs you of our privacy practices and the possibilities to choose how to collect and use information about you, including information collected from your online activities for information purposes. This Statement of Privacy applies to all websites of uredi.hr d.o.o, domains, services, and to all our employees. Please review the Privacy Statement - Personal Data Protection Policy (hereafter Statement) with due consideration to the possible changes that will be displayed on the page. Personal data is collected first and foremost to ensure the provision of the requested service and the most effective response to your inquiry. Name and surname, date of birth, address of residence, email, phone and / or fax number, cell phone number, personal identification number (OIB) and other information you exchange with us and want to remain confidential. - You have the right to request a copy of your stored personal data. At the time of submitting your data, you consent to contact us and you are giving us the right to process your personal information in accordance with the stated purpose. The privacy of your data is permanent. We collect and process your personal information in accordance with the provisions of the General Data Protection Regulation, EC 2019/679. We will keep the collected data in an appropriate manner and ensure their confidentiality. We will not pass the collected data to third parties without your express permission. We collect only that personal information that is voluntarily provided to us. We do not require you to send us data to allow you access to your site and we are not asking you to disclose more information than is necessary to participate in any activity on our site. uredi.hr d.o.o. will not send you unsolicited mail. uredi.hr d.o.o. cannot be held responsible for a random mistake or error due to force majeure or other objective circumstances causing accidental violation of the guaranteed protection of your data, but warrant that the error will be removed as soon as possible. We do not sell, transfer or disclose personal information that we collect to anyone outside of uredi.hr d.o.o. without your permission. We want to make it clear that when visiting this site your personal information remains confidential unless you want them to be voluntarily disclosed to other parties. A person has the right to inspect personal data collection, request access to it and alter their personal data, the right to repair, forget, restrict the processing, complaint and transfer of data, and at any time may discontinue the authorization to use personal data, request a change of data or delete data from our database. You can do so by sending a request in writing or in person, to our office address. When you send us an e-mail with personal information by which you can be identified, either via email with a question or comment, or a form you email us, we use this information to meet your requirements. We do everything within our power to ensure that all redirects from our web pages are directed to web sites that do not contain illegal and/or harmful content. However, web pages and addresses change quickly and we cannot always guarantee the content of each address you are targeting. If you have any questions or doubts about our Statement or about your experiences with this Internet address, please let us know. This agreement on the conditions and rules of using this web shop determines the mutual relations between you as the customer and uredi.hr as the seller. Customers may be legal and natural persons from the Republic of Croatia or other countries, provided a goods and services trade agreement is in place with such country. uredi.hr d.o.o. undertakes to carry out its business in accordance with legitimate laws valid on the territory of the Republic of Croatia, as well as to comply with all statutory standards in international goods and services trade. uredi.hr d.o.o. undertakes to protect the privacy of customers' information and to protect the secrecy of their identities. In the event of inability to deliver the requested products, uredi.hr is required to refund any paid monies to the payer (customer) that has remitted them in favor of the company account for the purpose of purchasing the products concerned. We prohibit any attempt of illegal action against out business system and any attempts of falsifying information; please note that any such attempt will be notified to the competent institutions. The prices are expressed in Croatian kuna. Payments are made according to the current security conditions for Internet payments in the country, by a payment order or foreign-currency remittance. The details about the accounts are contained in each e-mail signature you receive from us. Each customer is entitled to a volume discount. Discounts are automatically calculated in the system and are individual. Discounts may not be transferred from one customer to another or given to third parties. You will receive you invoice automatically following the delivery via your e-mail, including all required details. If the customer would like to have a special invoice, the customer may request it from our sales department. The invoice will be delivered to the address indicated by the customer as the ''Invoice Delivery Address''. We accept claims as to the quality or quantity of the delivered goods within 15 days following the services acceptance date. You can make a claim via facsimile or e-mail. We are at your disposal for any other remarks – you can contact us at any time. ©2016 uredi.hr. Site by LWS.